What are your plans this weekend is a common question asked by friends and foes in offices. But last week I heard one of our friends asking, what are your plans of going for an outing in the Monsoon season. Everybody reacted with a strange face to this question. Because going for a holiday in Monsoon is thought to be something irrelevant. But it is not an irrelevant idea and Monsoon holidays are enjoyable and becoming more popular. Indian tour operators have started launching many attractive Monsoon Holiday packages for various destinations which will provide amazing enjoyment to the visitors. 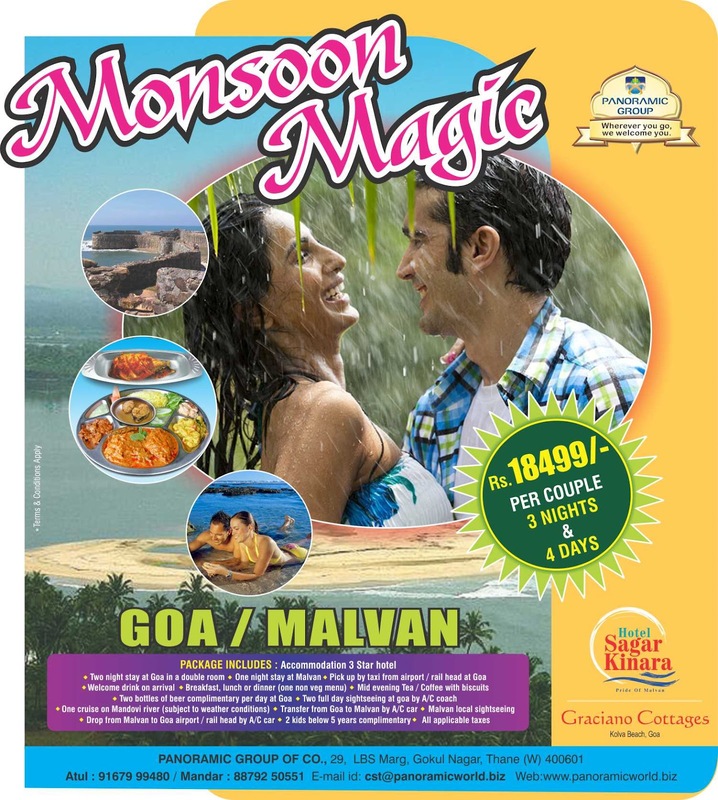 Regarding destination what else can be the better place than Goa for Monsoon holidays? With a moderate climate and many options to celebrate vacations in Goa, it attracts hoards of tourists throughout the year. 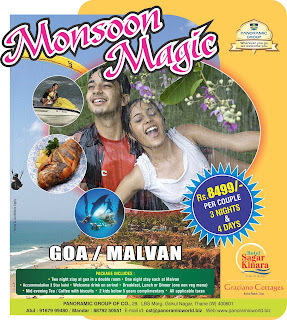 During monsoon Goa is mystical with a green cover and romantic climate. The incredible beaches offer awesome experience during monsoon. Goa hotels online booking facility is the best to book the hotel of your choice in Goa. 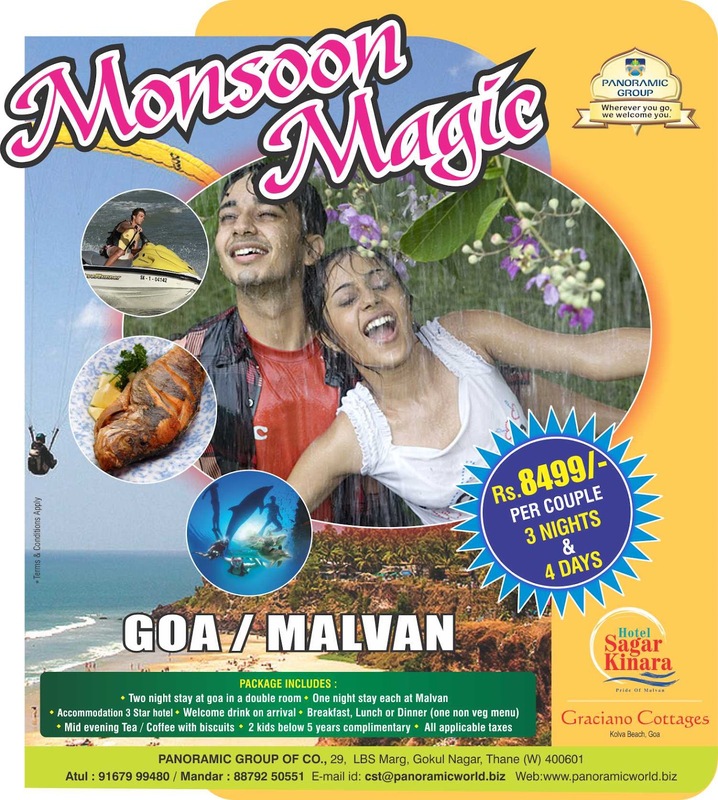 monsoon holiday package for couples with two nights stay at Goa and one night stay at Malvan. 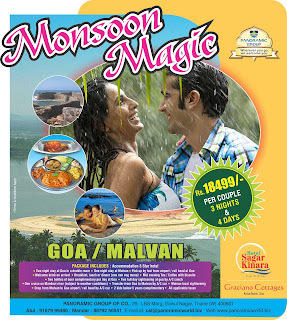 In which you can enjoy the monsoon showers at both the exotic destinations. This package of 3 nights 4 days includes pick up from airport or railway station, welcome drink, complimentary two bottles of beer at Goa, sightseeing by A/c coach, and cruise on river if weather is favorable. Goa to Malvan transfer and sightseeing at Malvan will be by A/c car. The package cost is just Rs. 18499/- which is inclusive of taxes and allows 2 kids below five years without additional cost. Accommodation at Goa and Malvan will be provided at Hotel Graciano cottages, Goa one of the best Colva beach hotels and Sagar Kinara at Malvan. Plan your trip to Goa during this monsoon and experience the thrill of the Goa beaches under showers with some delicious sea food and a glass of hot drink. Goa monsoon packages prove to be an excellent opportunity for couples, who can enjoy the romantic surroundings of the Goa beaches. Booking accommodations in Colva beach hotels will surely double your enjoyment as it is one of the best beaches of Goa. It offers serenity as well as the fun of bargaining at the beachside stalls & buying some ultimate Goa souvenirs.